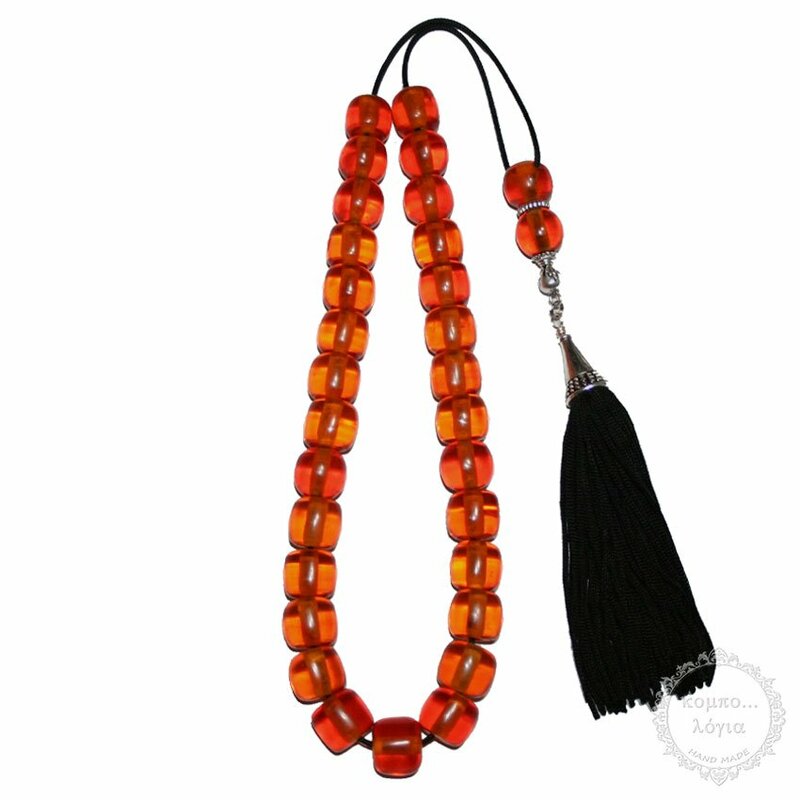 A unique collectible old Faturan handmade komboloi created with 29+2 old Faturan beads in barrel shape of 14x13mm diameter, with original Tibetan silver metals, 44cm total length, 33cm + 11cm natural silk tassel, and 74g total weight. Excellent quality AAA+, very old Antique Faturan beads with a slight aromatic smell. Traditional Design with strong cord for everyday use. Very nice warm touch and beads produce enchanting sounds. It comes with a leather vintage gift pouch.